You’ve heard the age-old mantra of real estate, “location, location, location.” Gallerie takes that to heart. We’ve epitomized modern living with Gallerie. Here you can have the excitement and adventure of city living yet retreat to the more quiet, secluded community life when you need some peace and quiet. Gallerie is less than 5 minutes from downtown Kansas City and is only 5 minutes from the Plaza, the famed Kansas City shopping center. You can enjoy the incredible shopping, dining, and entertainment around the city and also make occasional use of larger attractions nearby, too. Crown Center, home to LEGOLAND, the Coterie Theatre, Crown Center Ice Terrace, and Hallmark’s Visitors’ Center, is a great destination for locals and tourists alike and multiple annual festivals are held there. There is so much to explore from Gallerie. Schedule a tour today to see more! Ditch the national chains and enjoy your coffee the way it was meant to be enjoyed: brewed fresh and served with delicious food. Each Filling Station is unique, and we’re proud to have one so close to our community. Grab breakfast, lunch, or a snack in between. It’s worth your time, and you’ll soon be a regular. Everyone needs a place to unwind after a long day. $7 gets you a beer and a shotthe atmosphere is on the house. Enjoy good food, good drinks, and good times. With happy hour every weekday and live music every Saturday, what more could you ask for? We're proud to have such an esteemed school in our community. 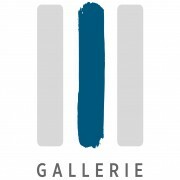 Gallerie is perfect for students, faculty, and staff of UMKC, and the school itself does so much for our community. UMKC serves the community delivering world-class education to the next generation of dental leaders. Nothing says fresh quite like updating a blog every day for years to showcase the daily specials. You Say Tomato has been a community gem for years, and their sandwiches and soups are more than worth it. Get your tried-and-true favorite, or try one of their ever-updating specials. We love pets. We know our residents love their pets. And we want to be sure that our residents know about the best places to care for their pets. The Union Hill Animal Hospital has been proudly serving our community for years. Get the best preventative and medical care your pets could ask for. They even do lab testing and dental cleanings.